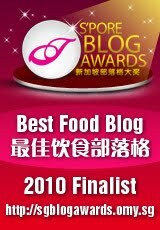 I would never have imagined combining carrots and okra in a same dish unless it is stew where both ingredients are cooked in such a order that renders stewed carrots similar in texture to stewed okra in the final dish. After recent experiments e.g. 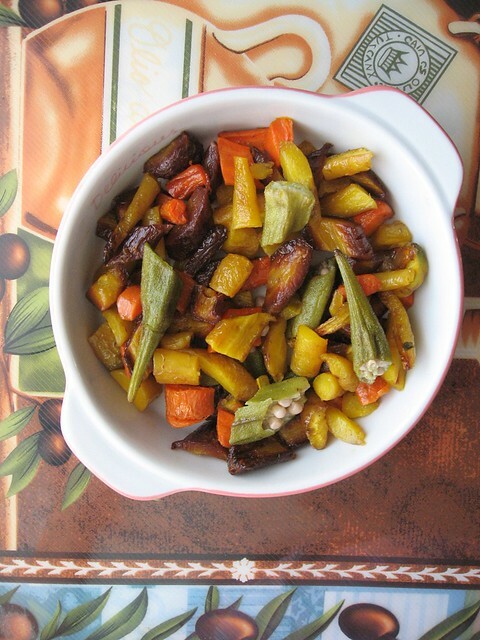 Ratatouille-Inspired Roasted Vegetables and Roasted Vegetables Spiced Curry in roasting that attempted to fully load the oven, I found that carrots and okra do come in unison when roasted tender. 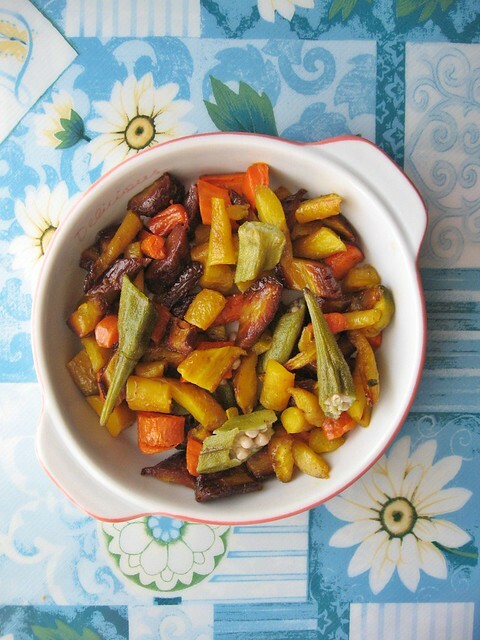 Sweet roasted carrots and smoky roasted okra taste delicious and hearty, and a good accompaniment side dish to roasted entree - chicken or fish. Directions: Preheat oven to 400. 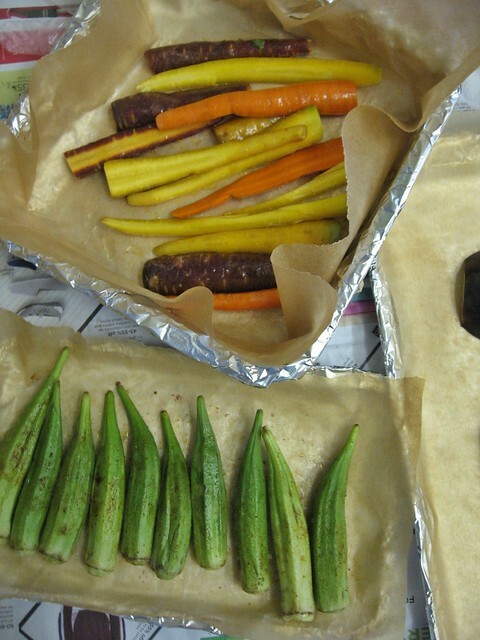 Place the carrots and okra in different tray. Drizzle each tray of vegetables with olive oil. Pinch of sea salt to each tray of vegetable. For the okra, add additional spice seasoning (refer to Roasted Whole Okra recipe here). . Roast for 30 minutes. Remove tray from oven and cool for 10mins. Cut the vegetables (with kitchen shears ) to bite-size pieces/chunks and gently toss the carrots and okra to mix.